BROWNSBURG, Ind. (May 17, 2016) – Ron Capps returns to Heartland Park Topeka this Friday to compete in another NHRA Mello Yello Drag Racing Series event in his illustrious career. 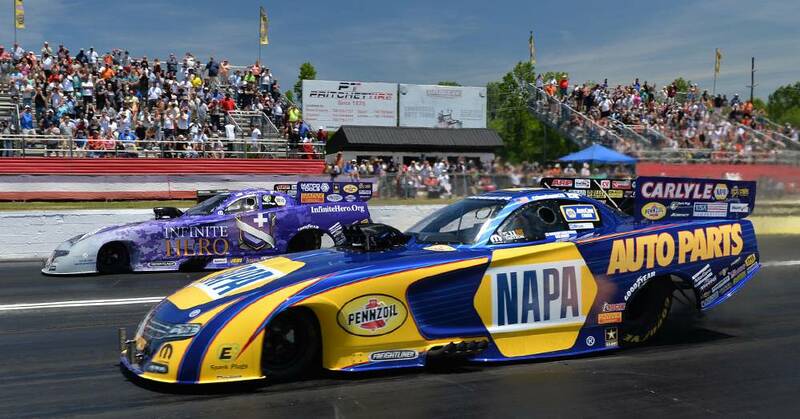 As a drag racing historian, the driver of the NAPA AUTO PARTS Dodge Charger R/T for Don Schumacher Racing appreciates that the track is appropriately named because the area also is in the heartland of drag racing. When he arrived at the Kansas Nationals last year he was disheartened to know that it could be the last NHRA event at the sprawling facility, but new investors surfaced late in 2015 and were able to work with the city and NHRA to keep the tradition going by adding the 28th annual edition of the event to the Mello Yello schedule. “It was the premier facility in NHRA when it opened in 1989,” said Capps, whose first time racing there was six years later. “Heartland Park had two big NHRA events each year from 1993 until 1997. National records were held there for many years,” he said, noting it is where Jim Epler made the first 300-mph run and the sport’s milestone 4-second time was produced by Chuck Etchells in NHRA Funny Car competition. “It was fantastic when they announced that we would be going back to Topeka. That is a fast, fast racetrack and it brings a lot of fans from all over. It still has one of the better racing surfaces we see all year. I’ve been lucky enough to win there three times and almost won No. 4 last year. It’s been great place for me. 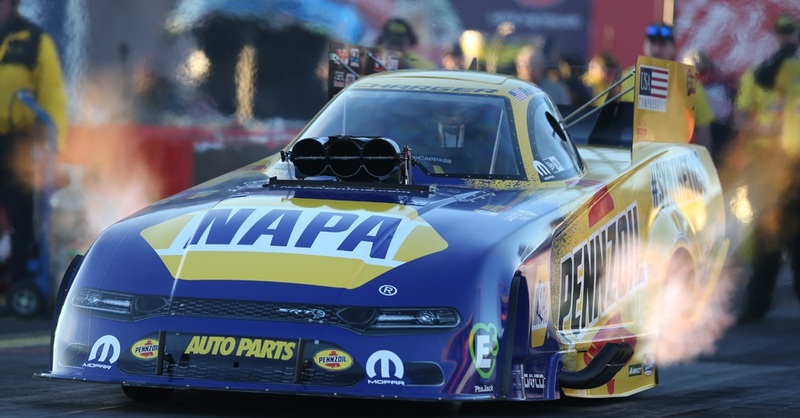 Along with three Topeka wins, Capps advanced to his sixth final round a year ago after making it to the semifinals the two previous years. For Capps, the importance of the track goes beyond the success he’s enjoyed there. “That town has thrived from the revenue our races generate. I’ve always bragged that as soon as we hit town the NHRA race is on the front page of the paper and leads the news on TV, and not just in sports. Capps could use some of the mojo he says Heartland Park provides. 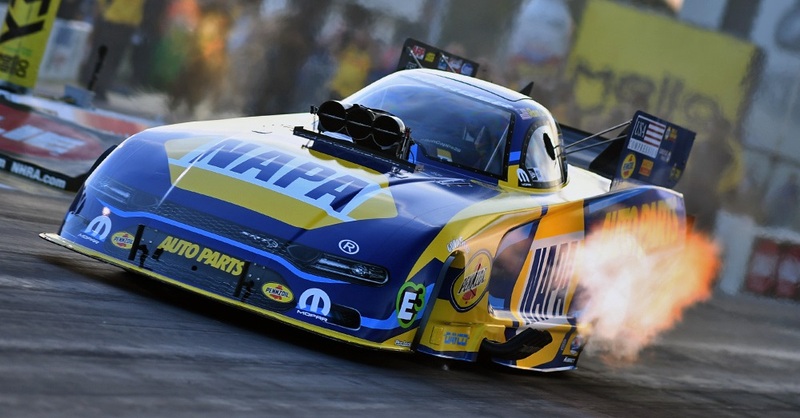 The NAPA AUTO PARTS team led by crew chief Rahn Tobler and assistant Eric Lane had a good race last weekend in the NHRA Southern Nationals at Atlanta Dragway but not the great one they wanted. After four consistent qualifying runs that provided a No. 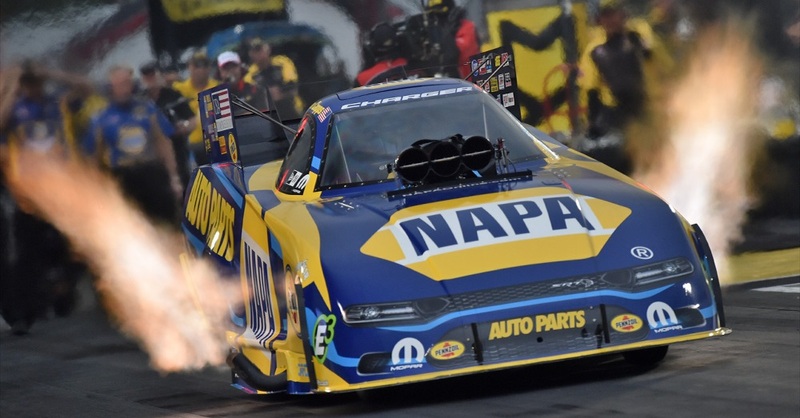 8 seed for Sunday’s eliminations, the NAPA Dodge easily disposed of 16-time world champion John Force in the opening run with a 3.938 seconds at 324.83 mph. Capps followed with a solid run of 3.992 (320.81) in the quarterfinals but lost by three-thousandths of a second to DSR teammate Jack Beckman, the event’s No. 1 qualifier and runner-up. 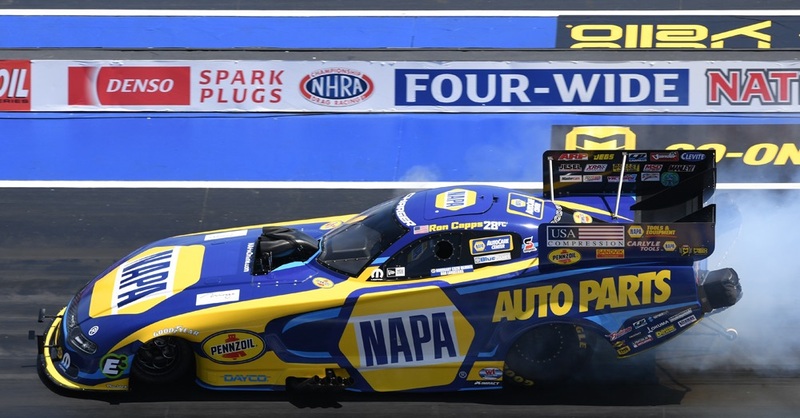 “We just lost a good drag race, but Tobler showed his NAPA Know How by adjusting all weekend to the changing weather,” said Capps, the second winningest Funny Car driver in NHRA history with 45 event titles including this year’s season-opener.